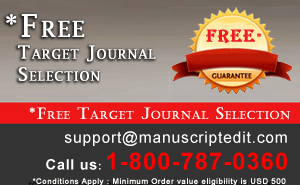 Register and create an account for you in the journal's webpage for online submission. Almost no article get accepted without revision. Peer-reviewers raise their concern to the suitability of the content to get published. In order to improve the quality of the content further they raise important questions which need to be answered by the author. At this stage, it is very important to understand and correctly interpret the reviewer's comments, make desired revision of the manuscript, submit a cover letter and clearly communicate and make point-wise response to reviewer's queries. Our expert will assist to present your "response to reviewer" in the best possible manner. But creating an effective poster can be challenging because you may have to squeeze your results from a year's worth of research onto a 3-by-5-foot sheet of paper. It is imperative that the posters are needed to be visually appealing to attract more attention. It requires very sound skills in design and layout of the contents with right Color combination to create a good poster. Sometimes it may be burdensome and difficult for you to create an effective poster because of want of time. We can help you in creating your poster. You can focus your time on your manuscript and we take all your burden of poster writing and designing.